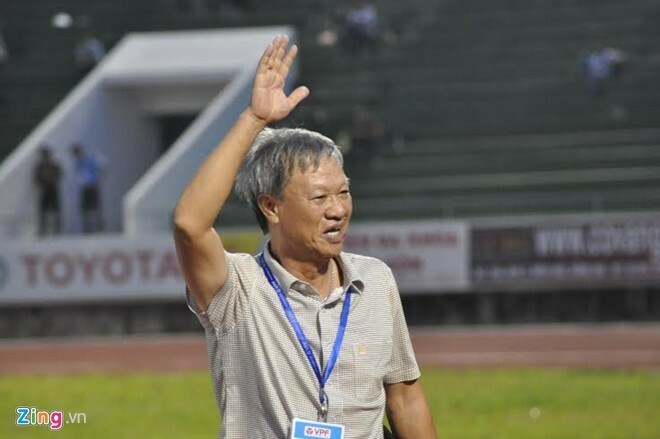 HA NOI (VNS) — Coach Le Thuy Hai has bid farewell to V-League 1 team Becamex Binh Duong, following Binh Duong's loss to Shandong Luneng at the Asian Football Confederation Champions League yesterday. General Director of Binh Duong Football Joint Stock Company Cao Van Chong confirmed the news of Hai's resignation. "Hai has presented his resignation to the club's leaders several times because of his old age and family circumstances. After the match between Binh Duong and Shandong Luneng ended, Binh Duong leaders accepted his decision to step down," Chong said. He said Coach Nguyen Thanh Son would temporarily take over the position of 69-year-old Hai.